Germination8 - 12 days. For best results the seedlings should be kept moist with a thin layer of straw or hay. CommentsGrow turf so tough it can be used on football fields or playgrounds, and yet it's easy to maintain. An improved, finer-leaf variety of turf-type tall fescue, it's also heat and drought tolerant. Resistant to common lawn insects, it eliminates thatch and chokes out weeds. This dark green grass can take whatever you dish out, including mowing it as low as 1 inch tall. 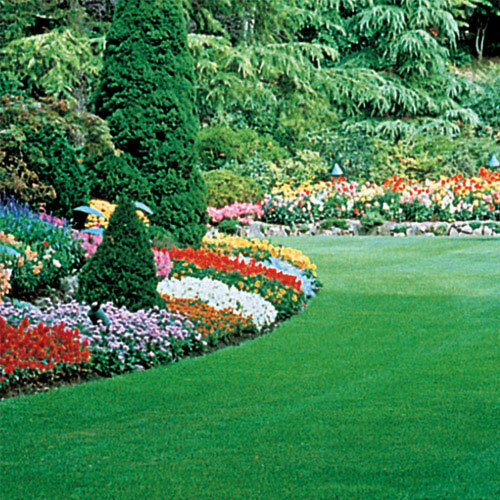 It requires little nitrogen, saving money on fertilizers, and needs less watering than bluegrass or ryegrass. For seeding new lawn, 6 lbs. will cover approximately 1000 square feet. DepthTop 1/2 inch of soil.